Sergeant John "JP" Sadowski (ret.) passed away unexpectedly on Sunday, March 24, 2019. He was 53 years old. JP was a dedicated husband, father, and police officer. 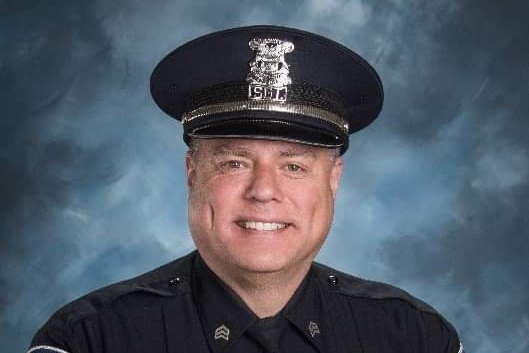 He started his career with the Saginaw Police Department and then moved on to retire from the Saginaw Township Police Department in 2018. At the time of his death he was working for the Richland Township Police Department. JP was an amazing man, with a wealth of knowledge and an infectious smile. His loss will be felt heavily within the law enforcement community and with those who loved him. This fundraiser is being created to raise money for JP's children, Emily and Matthew. It is our desire to raise money for their college funds in honor of JP. Donations can be made through this GoFundMe page, at Isabella Bank under Sadowski College Fund, at the Richland Township Office (1180 N Hemlock Rd in Hemlock), or at the Saginaw Township Police Department (4930 Shattuck Rd in Saginaw). Please make checks payable to Sadowski College Fund.